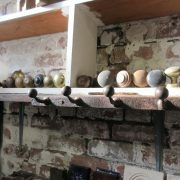 About Olliff’s Authentic Reclaimed and Salvaged Architectural Antiques. Our website has an extensive display of over 1000 images of reclaimed antique architectural items in over 32 categories.Over 90% of our stock is solely owned by Olliff’s Architectural Antiques. 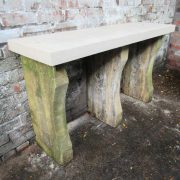 Olliff’s Architectural Antiques is a Bristol (UK) based, family run antique reclamation and salvage yard where quality and authentic are the keywords. We only stock genuine reclaimed period antique items actively steering clear of modern reproduction items which have no feel of age and quality. At Olliff’s our aim is to provide the highest quality of architectural antiques to the customer with the minimum of fuss. As a resultour customer service, customer care and customer satisfaction is of the highest level. We pride ourselves in making sure that every item sold is properly and expertly restored and a great effort is made to help our customers find the right reclaimed antique architectural product to suit their needs. If you would like to know more about any particular item please use our contact page or email marcus@olliffs.com quoting the stock code. ALL PRICES QUOTED ARE SUBJECT TO VAT at 20% unless you are outside the European Community. Delivery of items can be arranged world wide with the maximum of security and care. 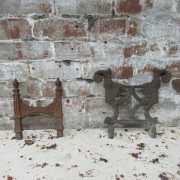 Olliff’s Architectural Antiques is not a high street shop so please make an appointment to view stock items.